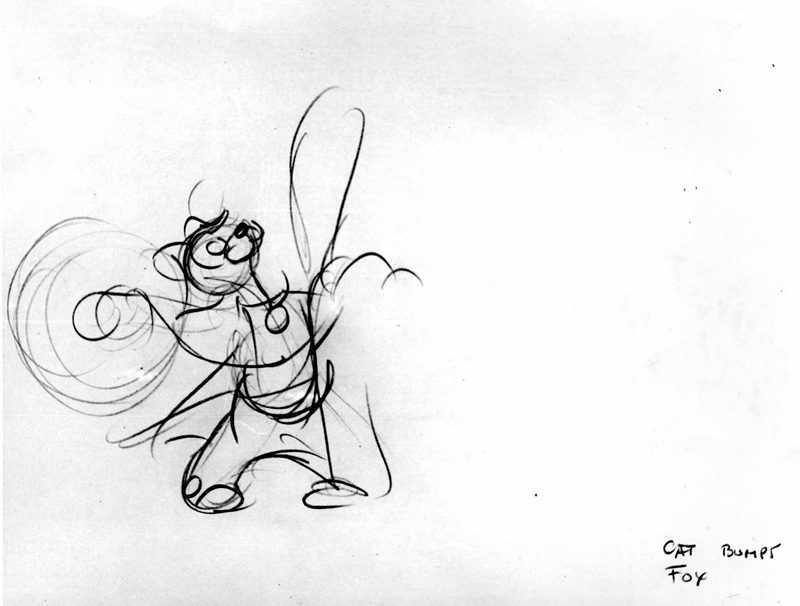 I had long thought that animator Norm Ferguson was responsible for animating this scene which features the fox and the cat from Pinocchio. 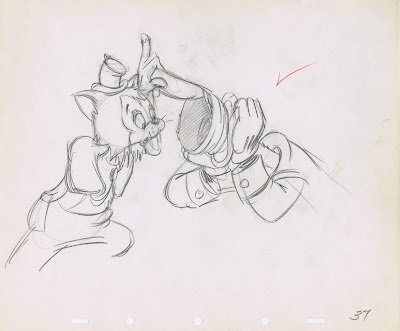 But the film's draft states clearly that this is the work of John Lounsbery. EXT. 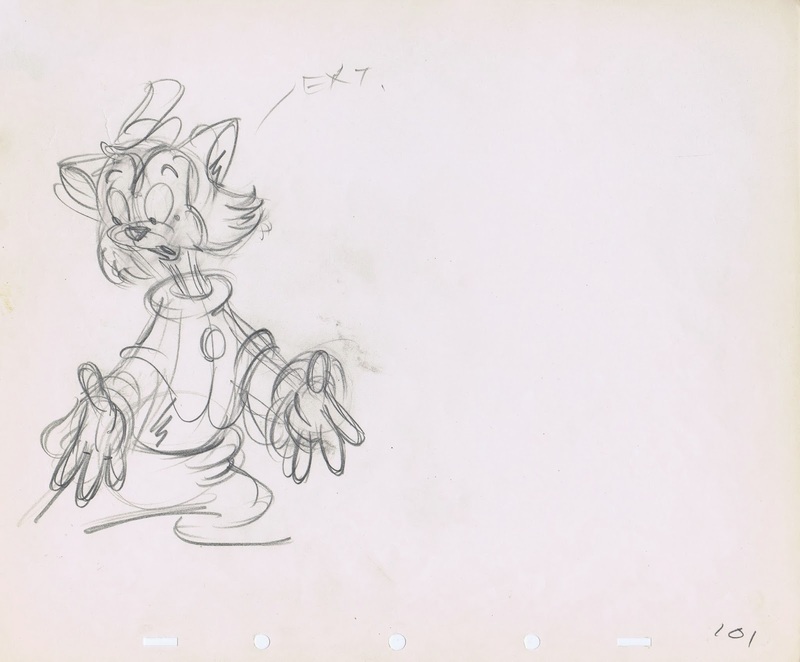 CU - CAT biting fingernails - timidly reaches up - lifts lid of hat - Fox yells: "GET ME OUT OF HERE!" 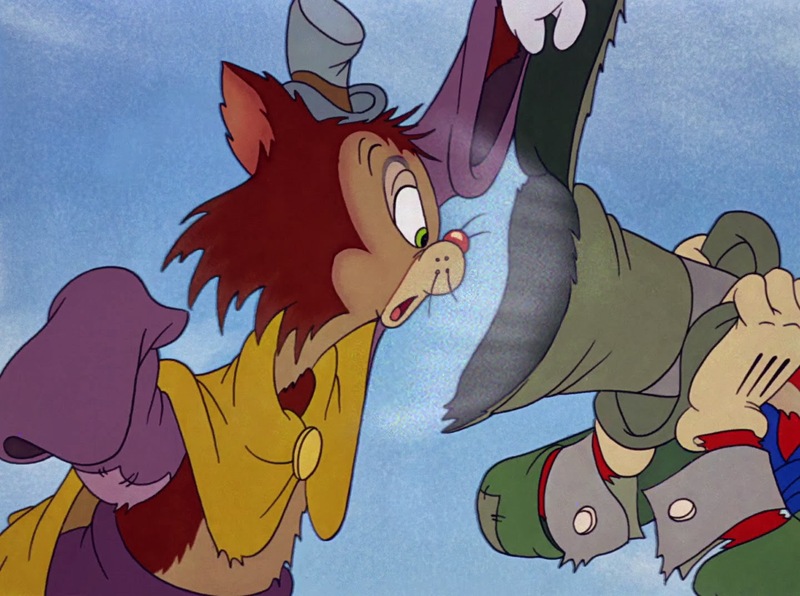 Cat scared, closes lid of hat - pats it - then gets brilliant idea. That's pretty much the way Lounsbery animated the scene, except for patting the hat's lid after closing it. 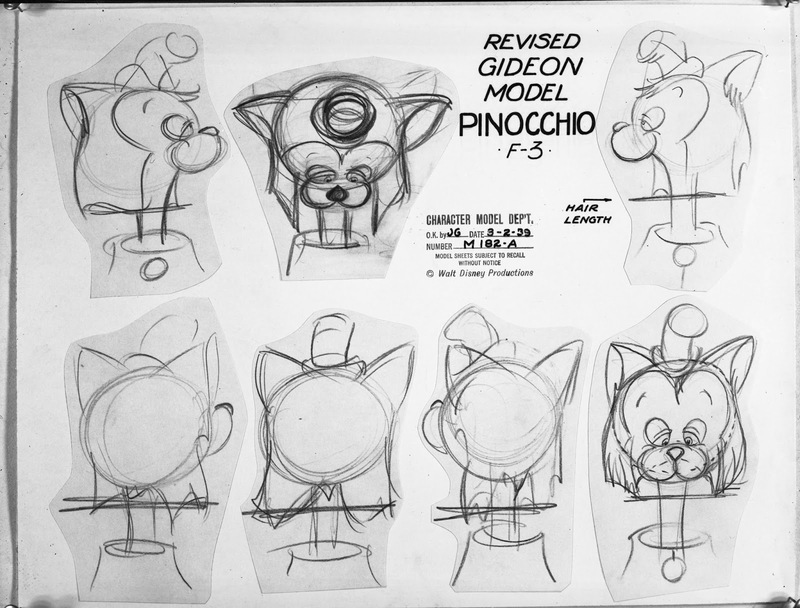 Gideon is a mute character, but his acting and body language can be very broad. 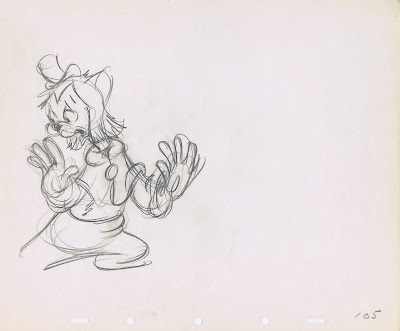 He reminds me of a vaudeville performer. 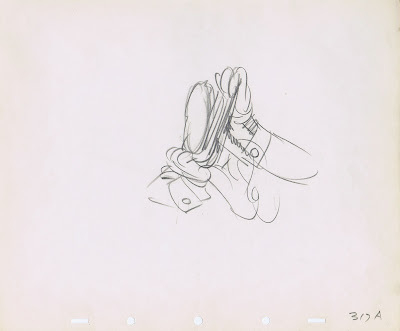 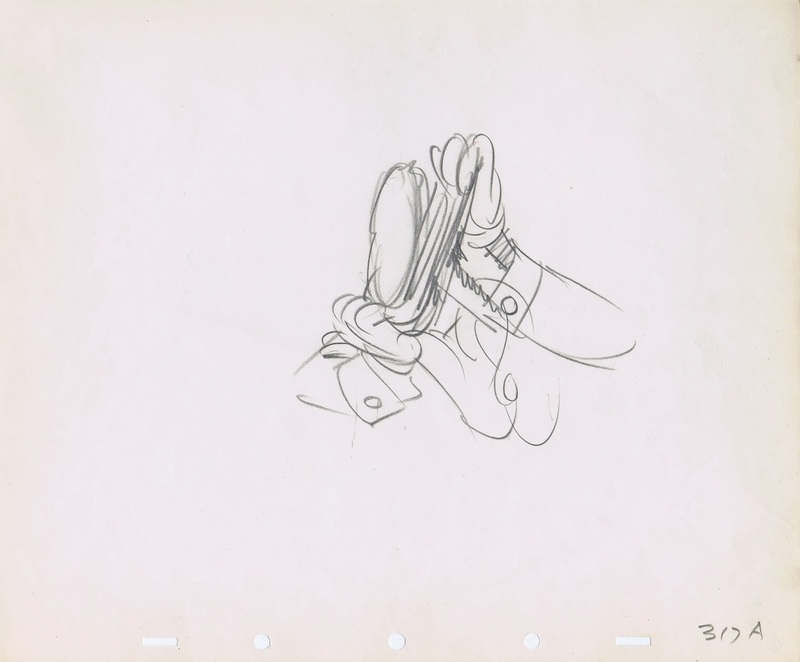 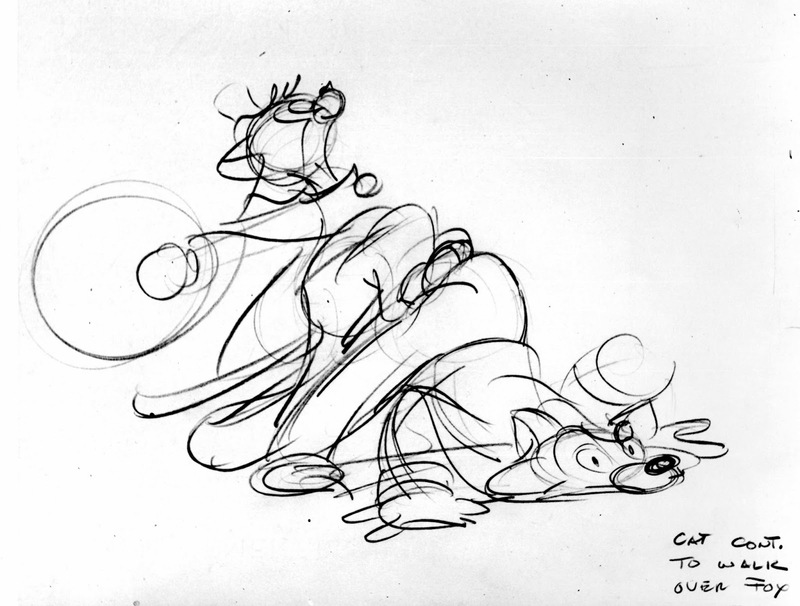 Here are a few of Lounsbery's terrific animation roughs for Seq. 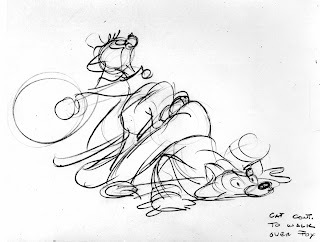 3, Sc. 45.2. 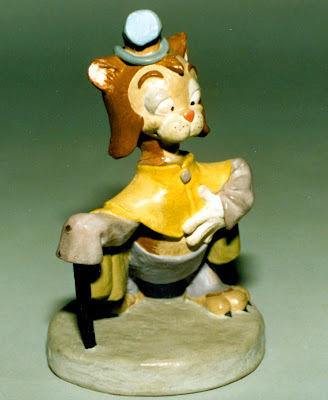 A maquette of Gideon from Joe Grant's model department. 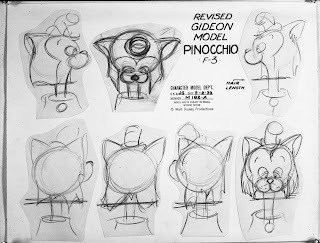 A couple of revised model sheets, probably drawn by an artist from the model department. 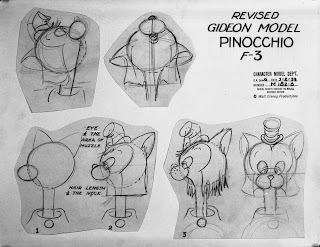 Norm Ferguson was a sequence director on Pinocchio. 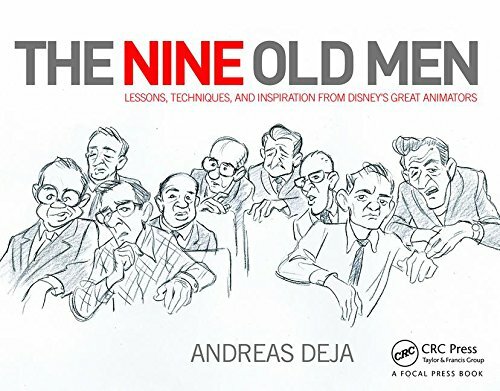 He was already a senior animator, and part of his job was to pass on his knowledge to kids like Lounsbery, Milt Kahl, Frank & Ollie and all the others who much later would be part of the Nine Old Men's Club. 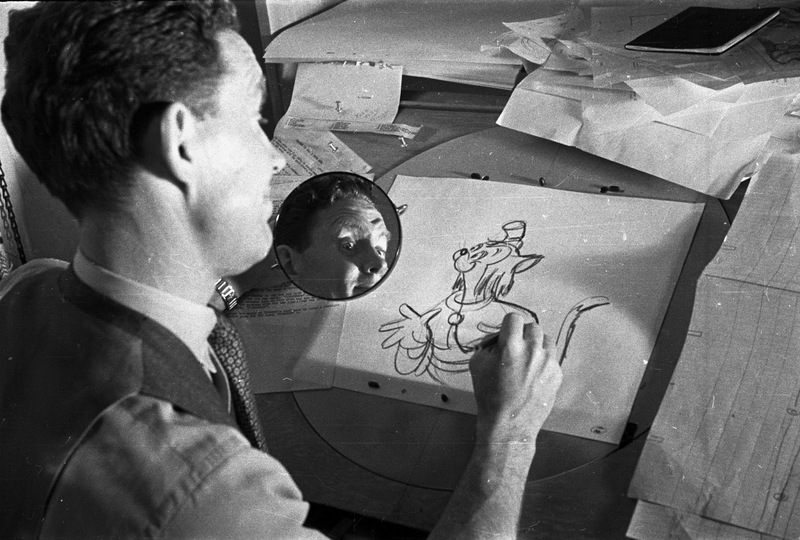 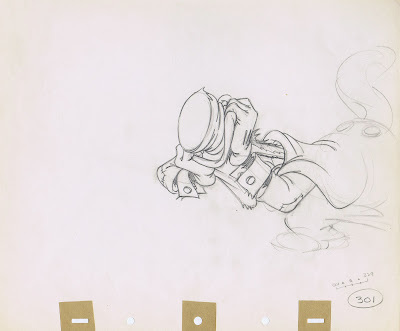 Walt Disney loved the loose quality in his animation and encouraged everybody to try the "Fergy" method, because in his scenes the characters truly came to life. 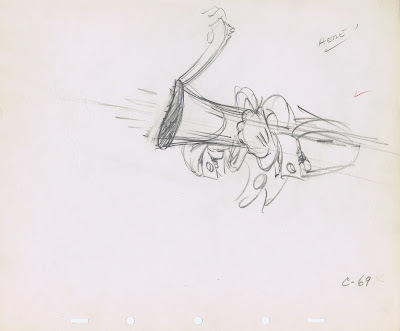 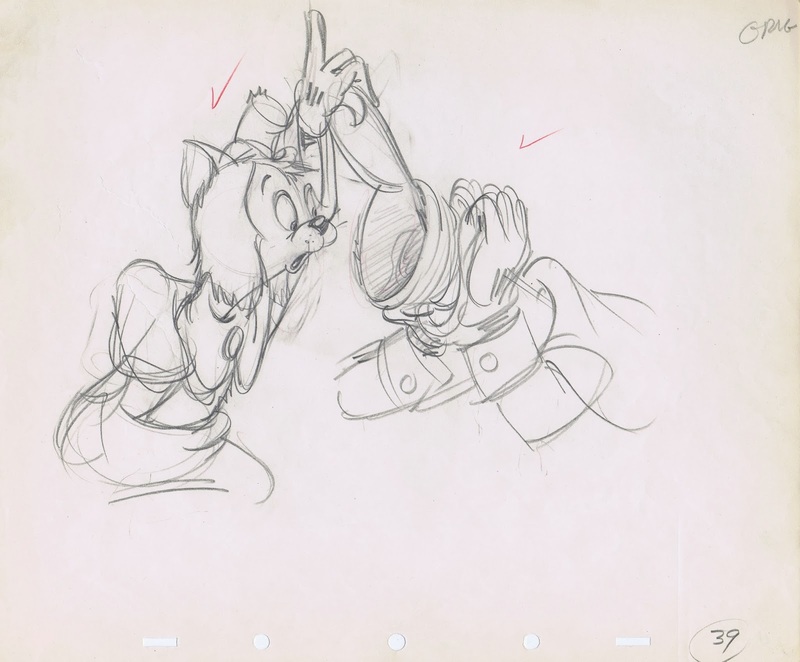 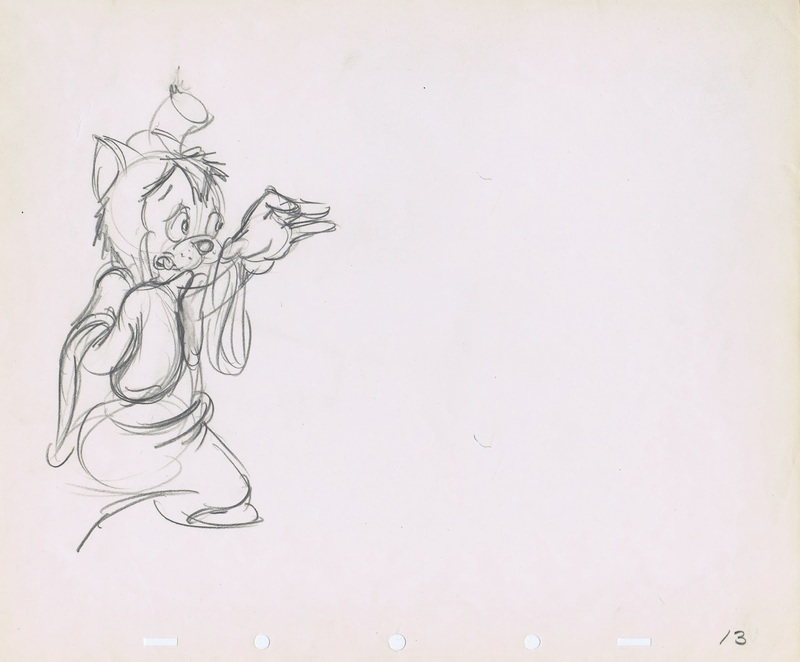 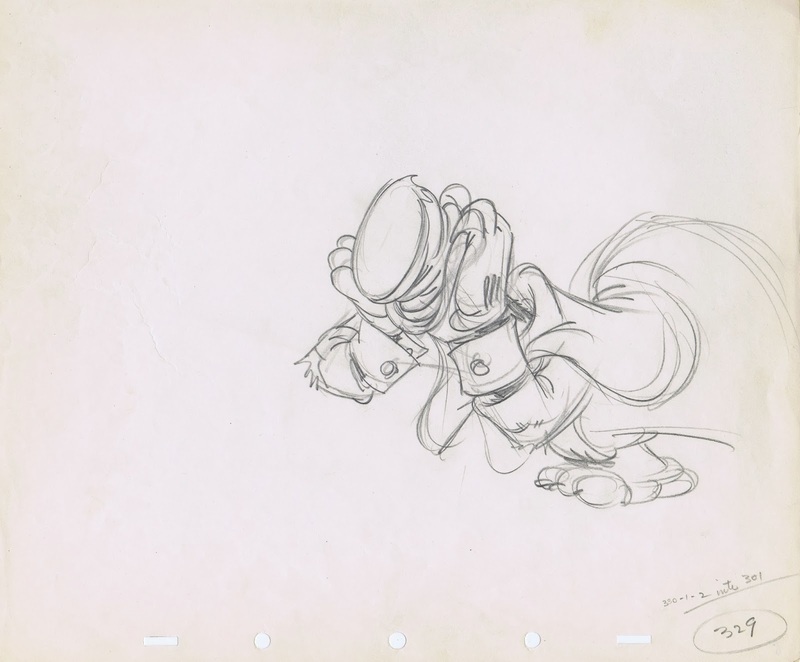 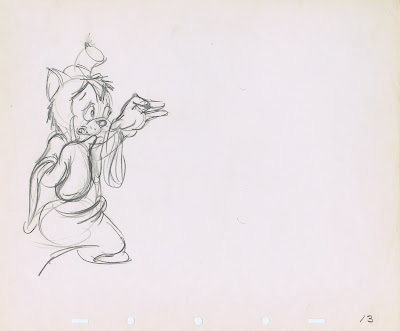 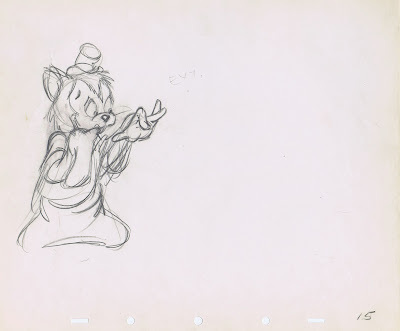 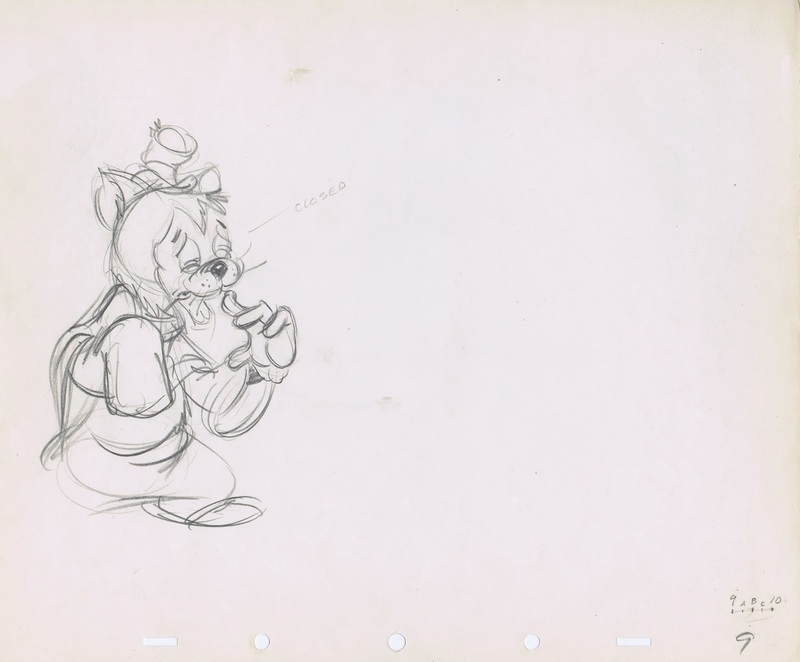 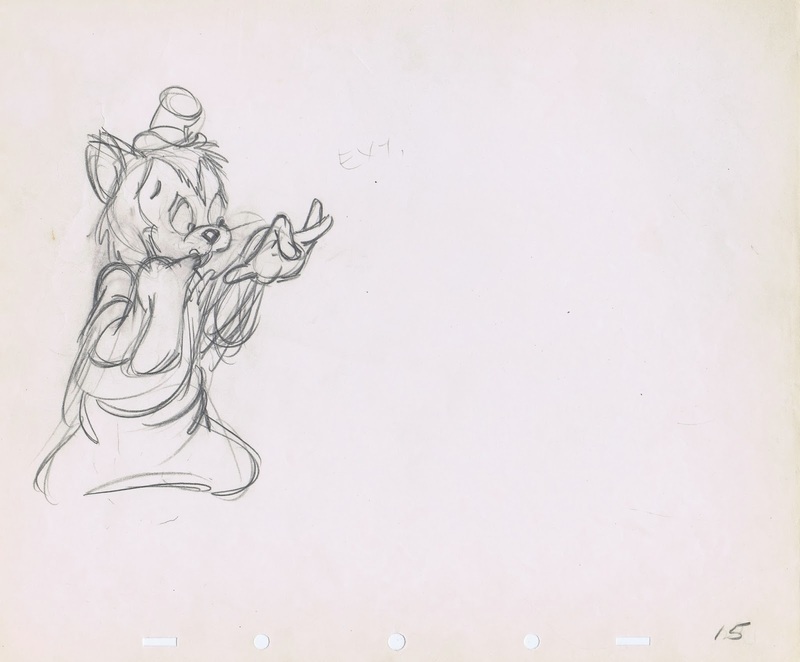 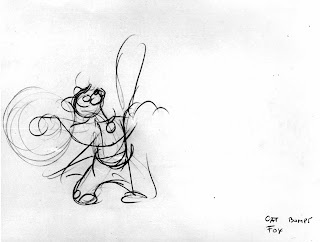 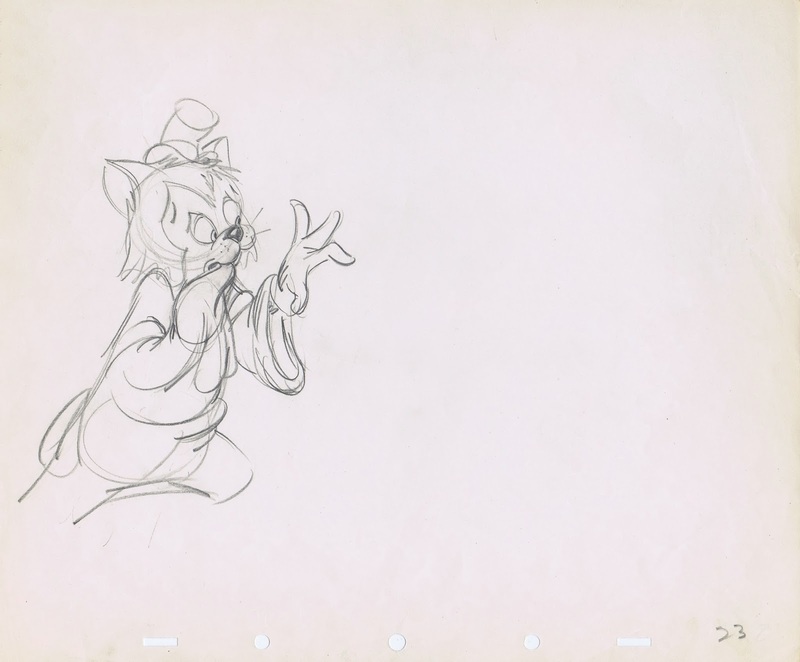 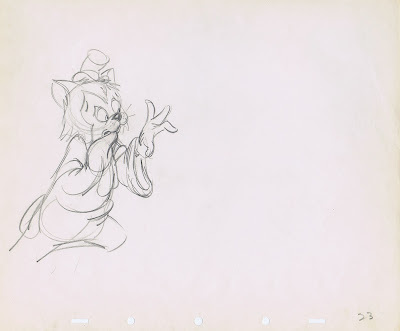 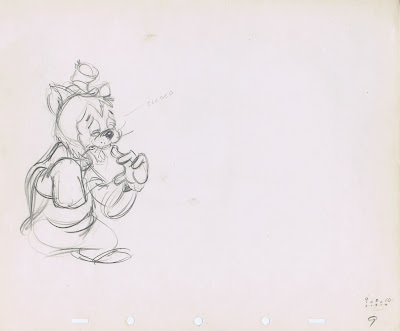 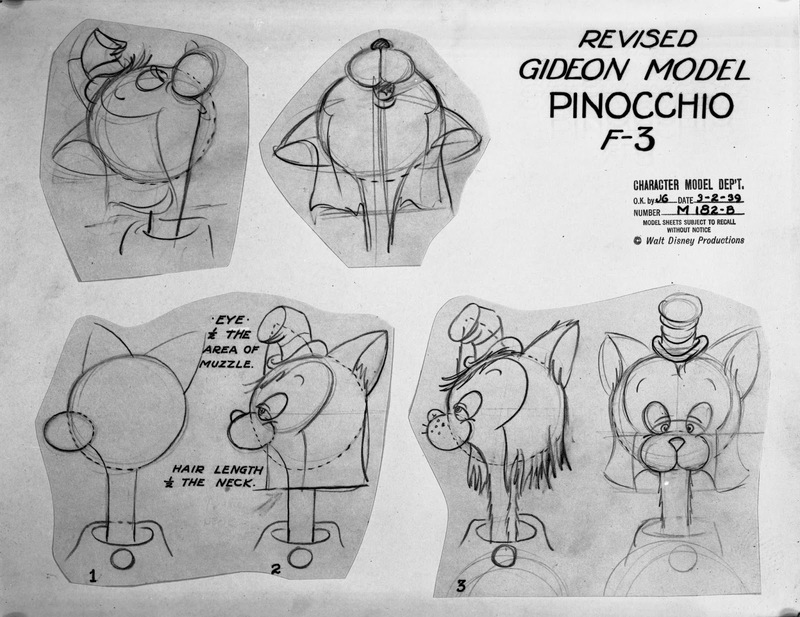 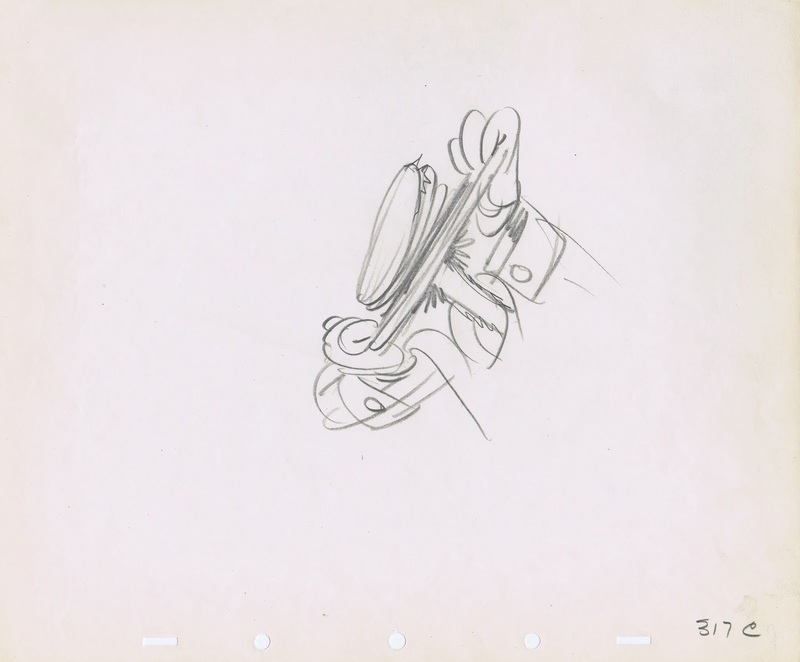 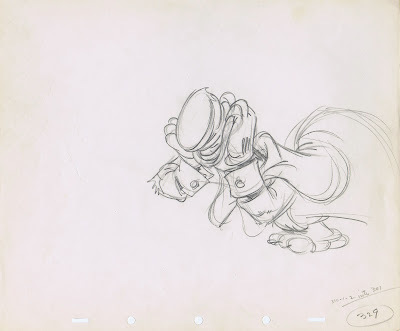 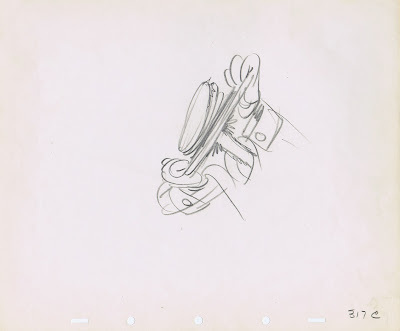 Ferguson not only animated scenes with Gideon and the fox, but also laid out poses and acting business for other animators.